Cabinet-Made Sideboard by Irving and Casson – A. H. Davenport Co. Arrives for Sale at Cornerstone! 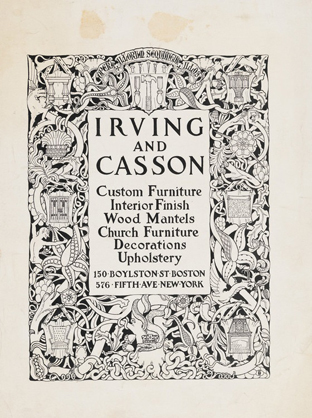 Take the time to google “Irving and Casson – A.H. Davenport Co.” and you’ll find details on one of America’s Best Furniture Makers of the Last Century! With showrooms in Boston and New York, this company made finely crafted furniture for clients ranging from George Eastman to the White House! Looking at our “Just Arrived” page, you’ll find a wonderful example of their work in the Inlaid Hepplewhite Sideboard that came to our store just yesterday! It has all the marks of a Beautiful Piece of Furniture. From it’s Inlaid Bellflowers to the expertly carved relief work below the center drawer, this huntboard is truly a piece to be treasured. See it, along with all our latest arrivals by visiting the store today!